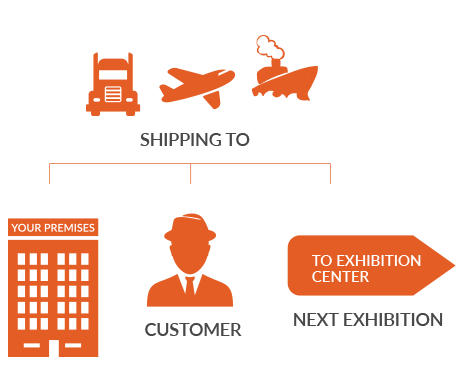 Whether you are an organizer, exhibitor, trade association or stand builder, you can depend on us to deliver a first class customized service, enabling you to concentrate on your core business and have a successful event. We will accompany you all the way starting from before the event starts, then during the event and finally after the event ends while offering our tailored made transportation, customs clearance and onsite services. Our range of services covers different event industries such as fairs and exhibitions, road shows, music tours, fine arts and sport events. Guidance and planning of a detailed schedule for the logistics process throughout the fair. Worldwide transportation by air, sea and land. One contact person coordinating all your requests. Full preparation of documentation, consignment deadlines, case markings, and special local requirements. Worldwide customs clearance formalities whether permanent, temporary, or ATA carnet. Arranging for customs bonds and deposits as per customs requirements. International all risk insurance policy. Onsite delegation and point of contact. Unloading from vehicles and delivery to stand on time. GEL skilled staff and handling equipment (forklift, Jack pallets, cranes and heavy lift equipment) at the venue. Uncrating and interim storage of the empty boxes during the event. 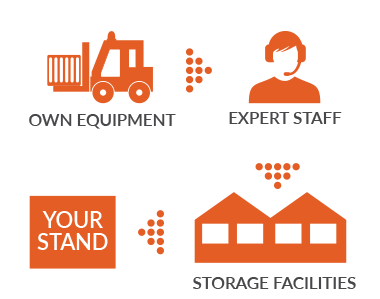 Short and long-term storage at our secure warehouse. 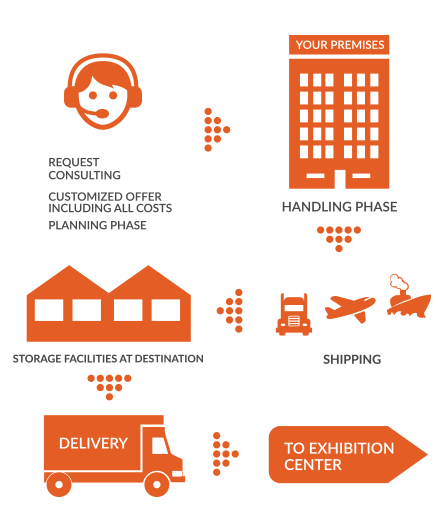 Return the shipment to the country of origin or to the country where you have your next event or exhibition. (This would include packing, collection from stand, loading into trucks, export formality and international transportation).